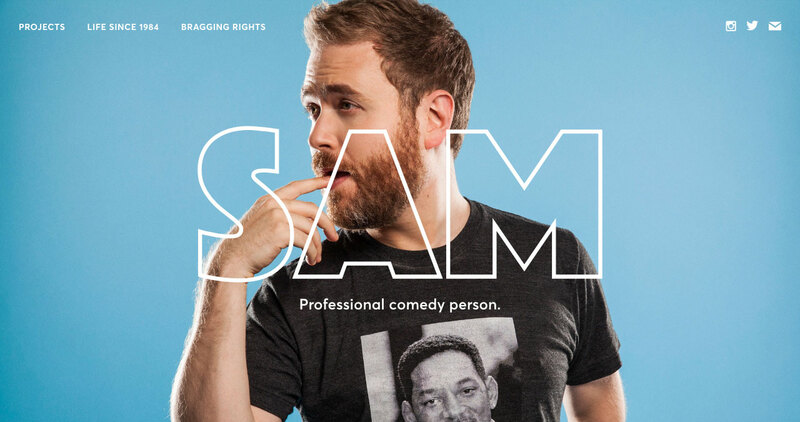 Slick and minimal One Pager for comedian Sam Reich. Great reference to how smooth well-timed transitions make a huge difference to first impression. The horizontal scrolling career timeline is very impressive too. Final little shout to how the fun navigation items are renamed on mobile to accommodation the narrow space – smart. Portfolio site for Sam Reich, a president, executive producer, director, writer and professional comedy person. This site was built to catalog the projects he's currently working on and his interesting life so far. The biggest challenge for this design was finding a unique way to display so much copy.